During the excavation of a roman villa in Essex, a well was discovered. 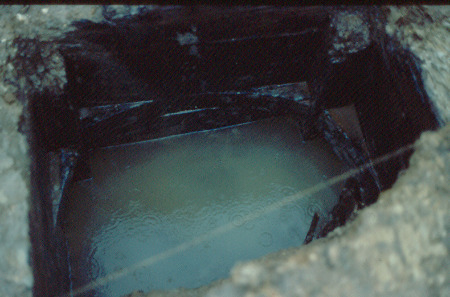 A wooden well lining and wooden objects from inside the well pit were recovered. The lining forms a square bottomless box that was made from sawn planks of oak, joined with dovetail joints and no nails. The oak pieces within the well appear to be offcuts from other building work. This excavation was funded by Carlisle City Council, The Millennium Commission and local businesses during 1998-2001. 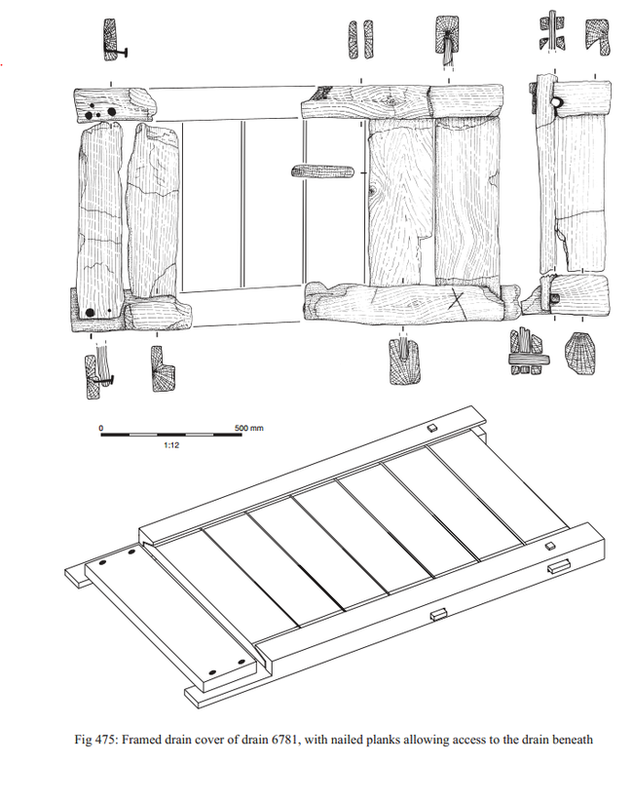 Richard evaluated 535 worked timbers from the excavation of a roman fort. These timbers had been stored since the excavation in 2000 and were examined in 2003. The report considered the source of the timber preparation and building techniques used. Findings were compared to those of other roman forts of the same era. The fort was rebuilt several times. The first fort was built from alder and ash, later forts were predominantly built from oak. The timber was prepared by splitting in the early forts and saws were used later. The lack of regularity of the post-spacings and in the sizes of the posts used were notable in these military buildings. The type of timber used varied from non-durable alder and ash roundwood (less than 15cm diameter) to oak trees of over 1m diameter (and over 300 years old when felled). The latter had been split radially and tangentially into squared timbers of less than 15cm square. Roman man-hole cover from Carlisle (Darrah R, chapter 19 below). Darrah R. The structural wood and other wooden artefacts: the structural wood. Chapter 19. In: Howard-Davis C (2010). Carlisle Millennium Project - Excavations in Carlisle 1998-2001, Volume 2 Finds. Lancaster Imprints no. 15. Oxford, Oxford Archaeology North. Darrah R. Appendix 9, The wood. In: Howard-Davis C (2010). Carlisle Millennium Project - Excavations in Carlisle 1998-2001, Volume 3 Appendices. Lancaster Imprints no. 15. Oxford, Oxford Archaeology North. Zant JM (2009). Carlisle Millennium Project - Excavations in Carlisle 1998-2001, Volume 1 Stratigraphy. Lancaster Imprints no. 14. Oxford, Oxford Archaeology North. Richard reported the results of the work at a conference: Darrah R. Timber in the construction of military buildings in Carlisle. CARLISLE MILLENNIUM PROJECT CONFERENCE, 15 to 17 October 2004, Swallow Hotel, London Road, Carlisle. There is a large roman settlement at Scole, containing waterlogged timbers which have been preserved. Much information can be gained from this timber about the timber source, felling, conversion techniques, tools and joints. Oak appears to have been the timber of choice; despite the quality of the oak dropping in later centuries. This suggests that by the end of the 2nd century there were no longer supplies of slow-grown timber. The main tools used were the axe, adze and saw. Early timbers were produced by splitting, while later timbers were sawn, except at the edge of the settlement where splitting continued to be used. In regards to joints, the techniques used have been chosen to minimize the need for nails. As well as normal woodworking there was evidence of coopering (of casks and tubs) on the site. The Roman well at Scole. Photo source unknown.